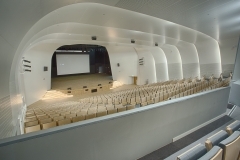 The Swiss International Scientific School in Dubai is a leading international school educating boys and girls ages 3 to 18. 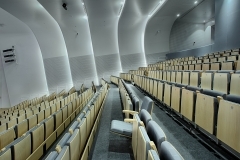 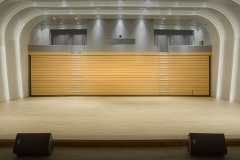 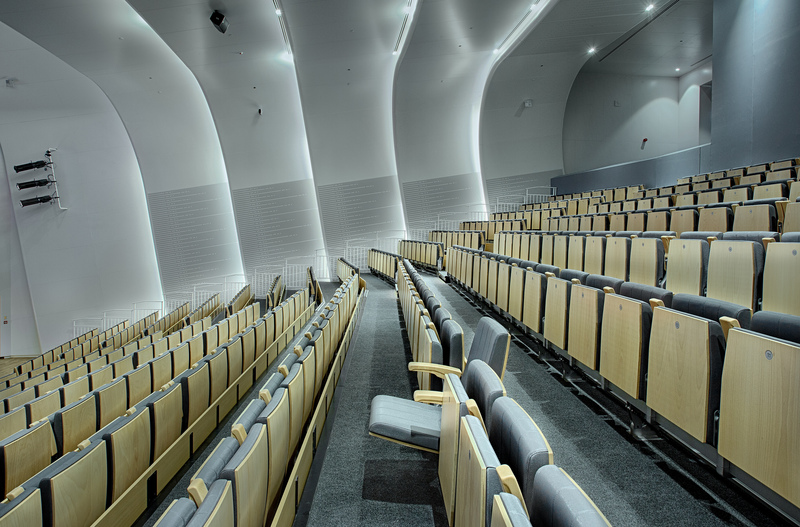 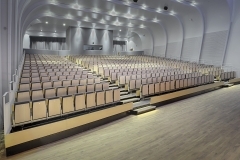 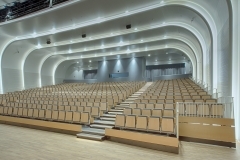 As part of their ambition to provide students with top-class facilities a new Multi-Purpose auditorium was constructed. 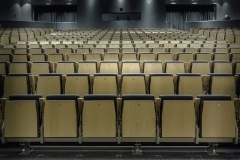 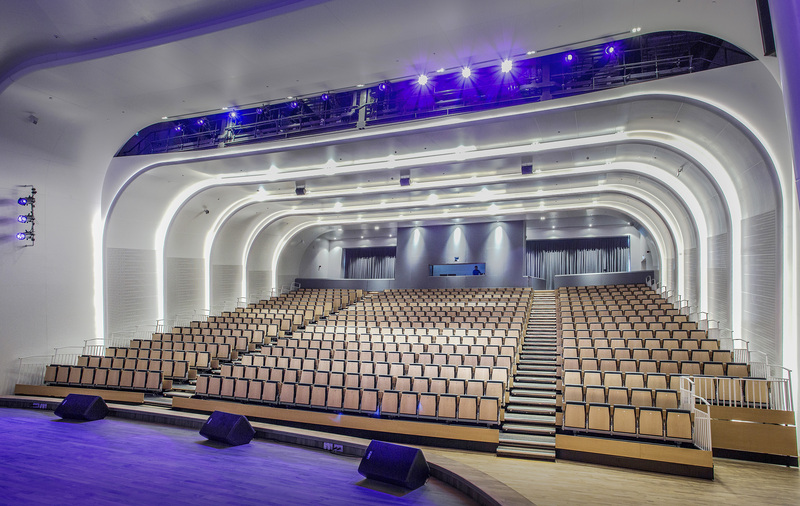 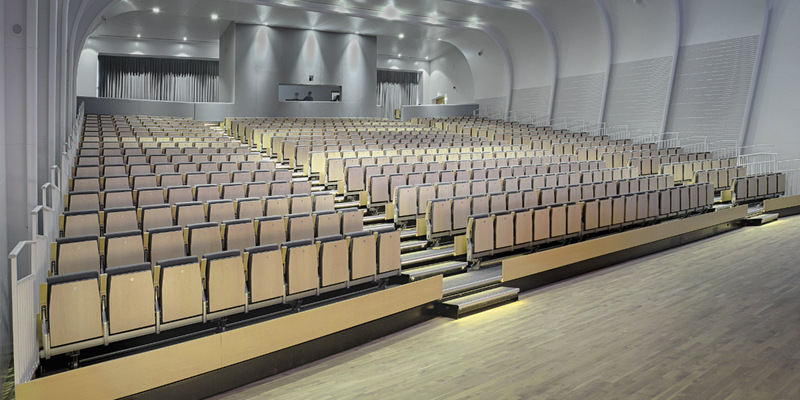 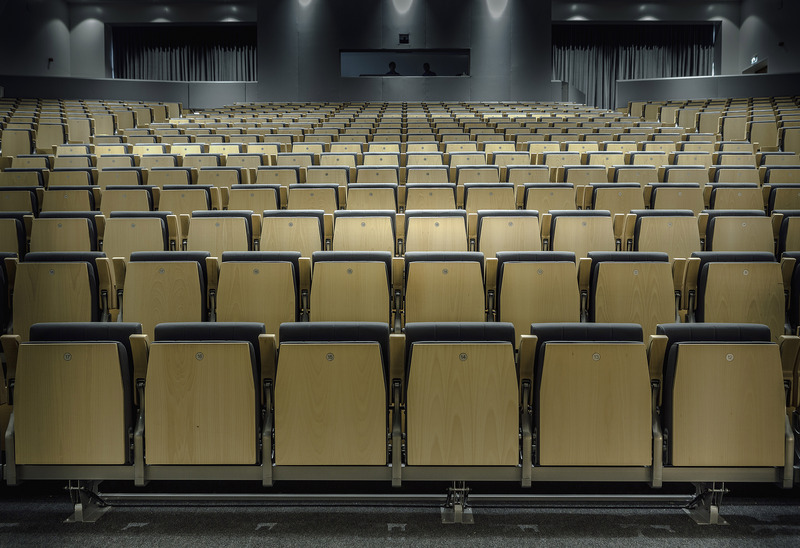 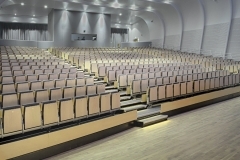 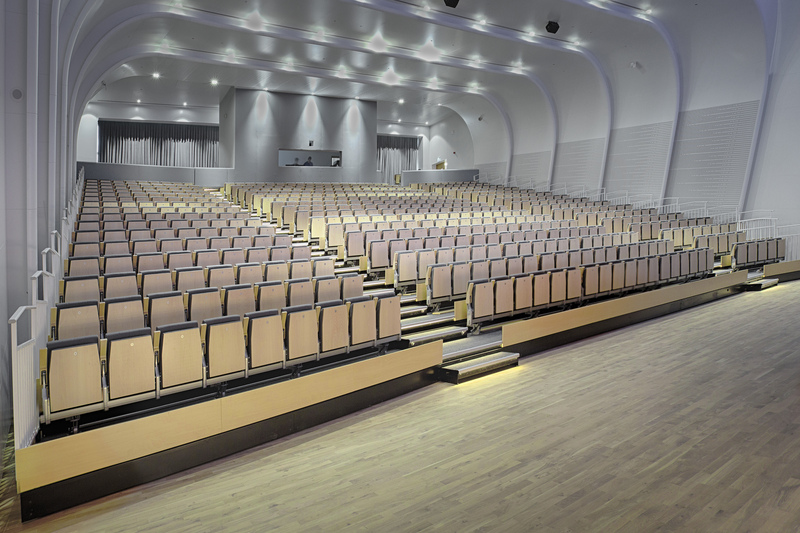 The project opportunity came to us from the school investor who requested a high-end seating solution for the auditorium and was led by our local dealer Mediterranean Building Materials (MBM). 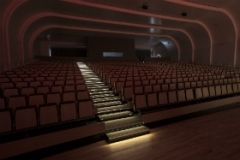 The project design started off with a standard rectangular 16-row telescopic platform system, however, as a solution based company, we put forward a number of designs one of which was for an angled retractable system. 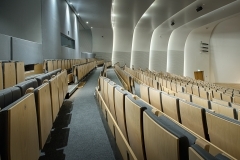 After various presentations to the client team they could see the benefits of this proposal which allowed an increased capacity whilst also improving the intimacy of the auditorium. 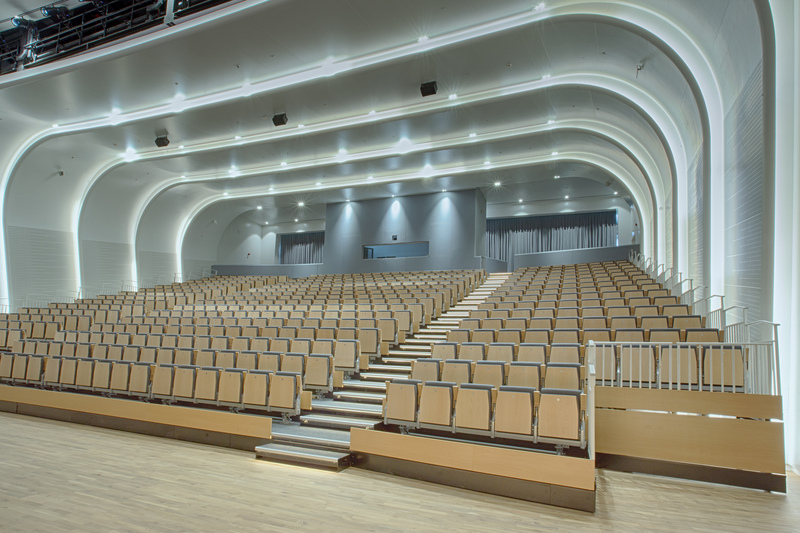 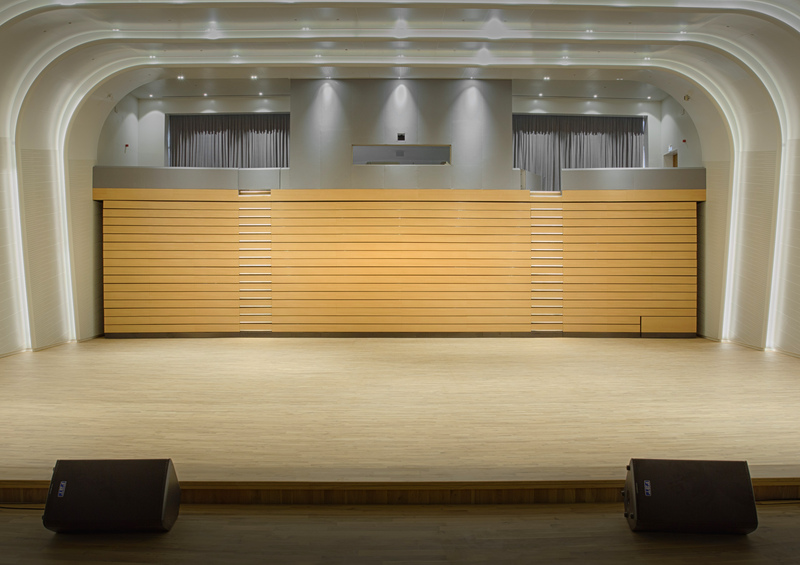 The retractable system featured a generous 1m row depth which contributes to high levels of comfort and wide walkways for the audience. Our welded retractable platforms system ensured that despite the increased row depth the rigidity of the structure was maintained. 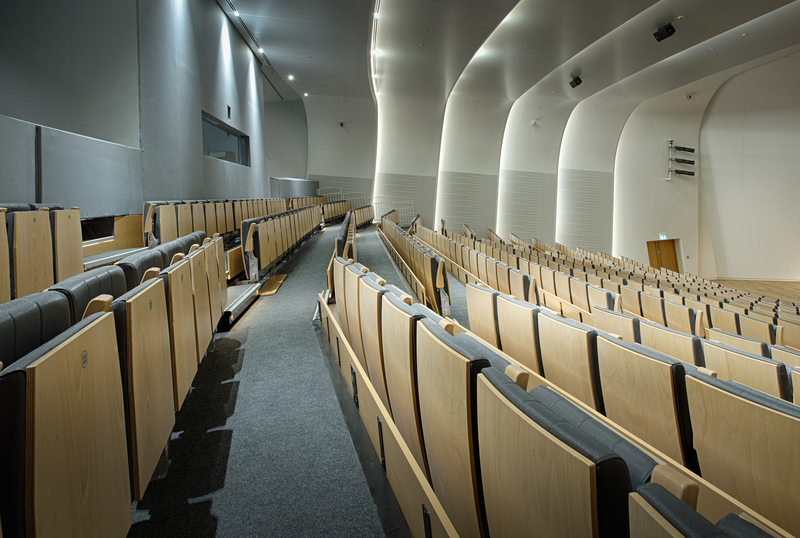 Veneered fascia boards were fitted to the front of the system providing an elegant appearance when closed. 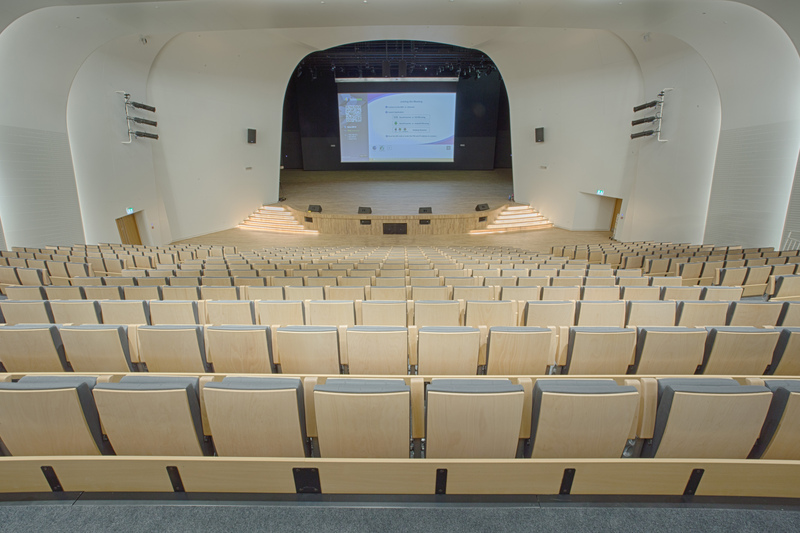 The chairs were procured from Ascender of Spain by our dealer MBM, their high-end seating products proved to be the perfect fit to complement our precision engineered retractable structure.